Two teenagers have been injured in separate shark attacks in Oak Island, North Carolina. 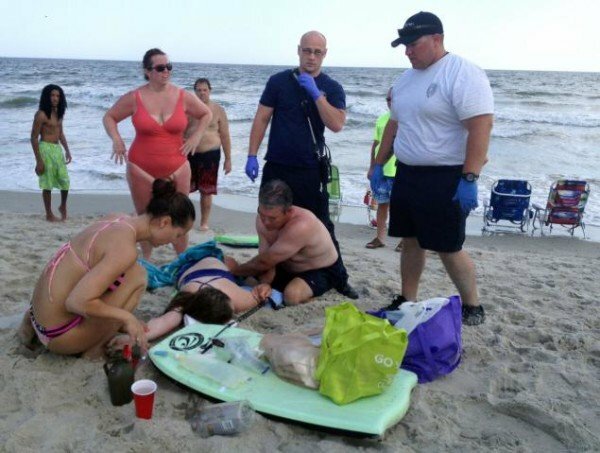 A 14-year-old girl was mauled while swimming on June 14, while a 16-year-old boy was attacked on the same stretch of beach less than two hours later. Mayor Betty Wallace told Reuters that the children had both teenagers lost their limbs as a result of their injuries. A helicopter was launched to search for the shark. Betty Wallace said the girl was attacked shortly after 16:00 local time. A man swimming nearby heard her screams and came to her aid. She was flown to hospital in Wilmington by helicopter but lost part of her arm and may lose a leg, Betty Wallace added. The boy was attacked about two miles away on the same stretch of beach and also lost an arm. Special patrols were launched along the shoreline, warning swimmers to get out of the water as crews searched for the shark. Town officials will decide on June 15 whether to close the beach to the public. “I don’t want everybody to think this is one of those areas where you really have to worry about shark bites. But for the foreseeable future, people have to be extra vigilant,” Betty Wallace said.